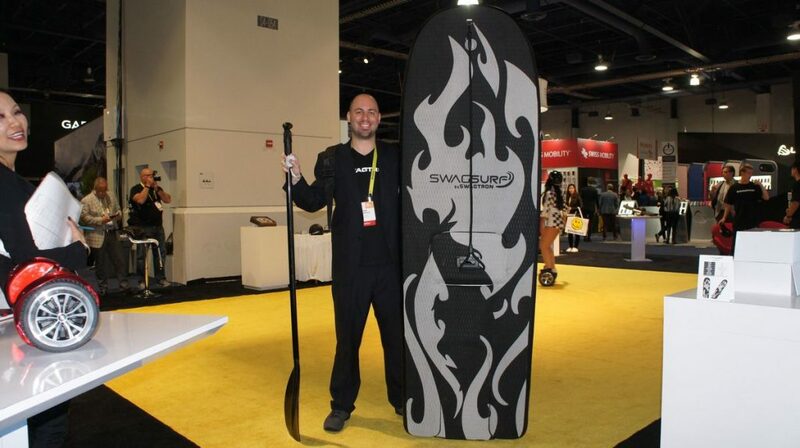 Electric surfboards have become mainstream nowadays, and it appears that Swagtron doesn’t want to be left behind. Early this year, Swagtron (reminds me of Megatron from transformers) unveiled a slew of electric-themed vehicles. What caught my attention was the electric surf vehicle called the Swagsurf. From the information released, this surfboard is capable of traveling at speeds of up to 15 miles per hour… and here’s the catch, they can do this without needing waves. based on estimations, it can ride for about 44 minutes per charge; plus its got a replaceable battery! It is about 8-foot long, and can be folded, permitting portability. Even though it is layered with a tough fabric, it still has a soft feel to it. A small motor can be found at the back of the surfboard, alongside a remote control, so the rider can determine the speed as he surfs. 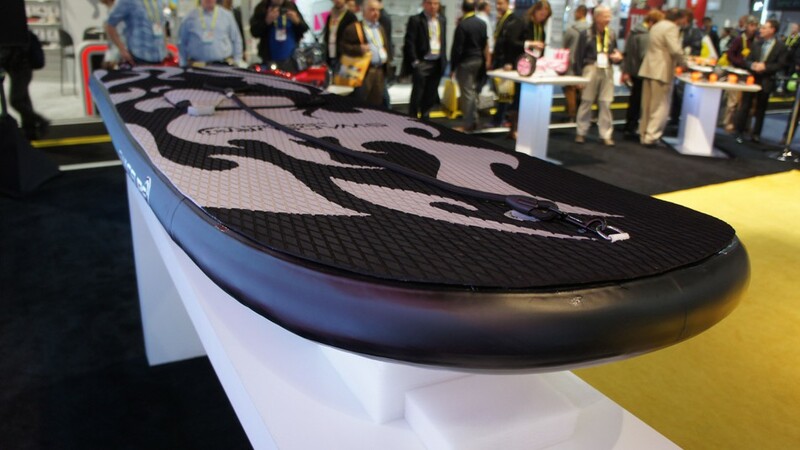 Nonetheless, it is good to note that the innovation in surfing technology is constantly evolving and getting better, I can only imagine what the future will hold in the awesome niche!